Diesel Engine Oil There are 4 products. 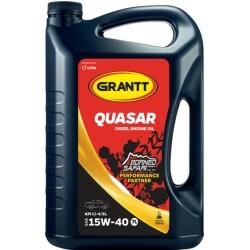 GRANTT QUASAR SAE 15W-40 is a premium quality diesel engine oil that meets the latest lubrication technology for low emission engine fitted with Exhaust Gas Recirculation (EGR). 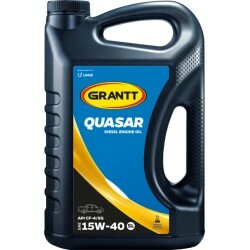 PRODUCT DESCRIPTION GRANTT QUASAR SAE 40 is a quality mono-grade diesel engine oil that provides superior protection against wear, deposits formation, rust and corrosion.